Passopisciaro Vineyards in Contrada Guardiola, on Mt. Etna, Sicily. Photo courtesy of Sarah H. Bray. Over the past few years, I’ve developed increasing respect for the wines coming out of Sicily. The indigenous grapes of the island are intriguing and distinctive, while still striking me as being wonderfully food friendly. Moreover, the wines seem to have an ability to transmit their terroir that calls to me, drawing me in to pay closer attention. So I have been. The timing is probably no coincidence since quality has been on a sharp upswing. The winemaking history here is quite ancient, going back more than 2,500 years, but it’s had checkered past. For a good part of the 20th century, it was largely known for making low-cost, mass-produced wines. However, it’s reputation has been doing a 180-degree turn in recent years. The warm, dry, breezy, climate is also pretty ideal for grape growing. This means that there isn’t much threat of vine diseases, so there isn’t much need for chemical sprays, which in turn means that it’s fairly easy to farm through sustainable methods. The wines have definitely grabbed my interest and I’m trying to learn more, but I’m definitely no expert. . . Luckily, I have a friend who is. (I don’t know if she’d call herself that, but I will.) Sara H. Bray is a force. She’s one of my collaborators on Bâtonnage Forum for which she is “The Orchestrator,” doing a million and one different things for the event, often from half a world away while working in Europe. 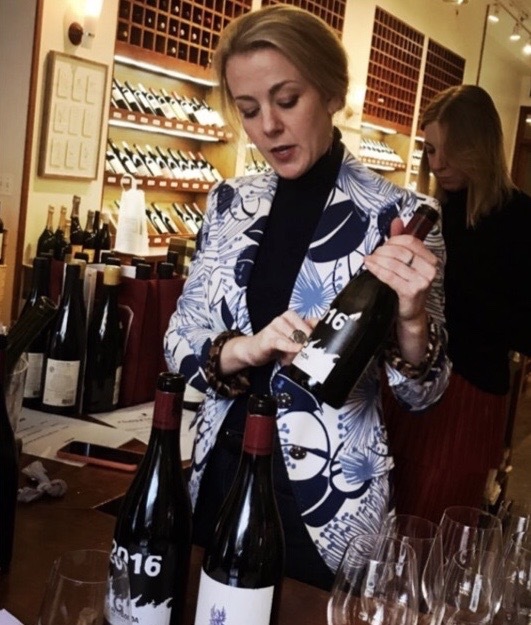 She’s part of the team at VinConnect, where she serves as Director of European Winery Relations, liaising with top estates in Europe to develop their direct-to-consumer marketing channels. (When Greg and I went to Italy last year, she was definitely one of the first people I hit up for info.) On top of everything else, Sarah recently began the journey towards becoming a Master of Wine. 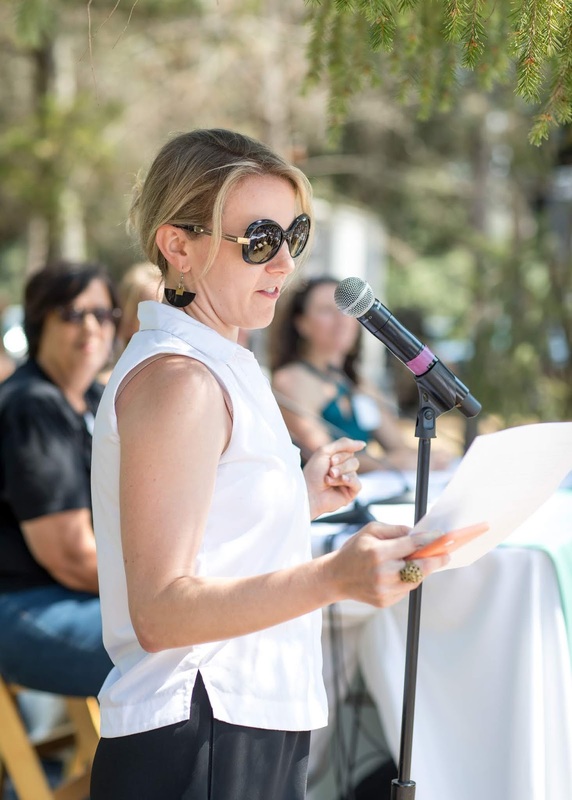 Directly related to the subject at hand, Sarah is also US Brand Ambassador for Vini Franchetti, which includes Tenuta di Trinoro in Tuscany and Passopisciaro on Mt. Etna. Along with Arianna Occhipiniti (see my recent post here) and a small handful of others, Passopisciaro is definitley one of the wineries that’s grabbed my attention over the years. She also recently wrote a fascinating article on Etna’s terroir for SevenFityDaily. I knew she’d be the perfect person to talk to help get a better understanding of the wines from this island. She kindly let me virtually interview her for this blog about her experiences in Sicily. It turned into a longer conversation than anticipated, but her answers are so informative and evocative that I really didn’t want to cut anything. (She even included some tidbits from Andrea Franchetti, owner of Tenuta di Trinoro and Passopisciaro.) Rather than lose any of that, I’ve decided to split the interview into two posts – this one will focus on Sicily in general, and my next post will be more specifically on Passopisciaro. I found it all super interesting and hope you will too! Photo courtesy of Vini Franchetti. I know you’re a big lover of Italy in general, but how did you come to fall in love with Sicily in particular? In one word, travel. I had visited the island once in 2007 when I was living in Rome and had found its unique mix of architecture and history so fascinating – pretty much any civilization with a boat conquered the island at some point given its strategic location in the middle of the Mediterranean. So, when my mother and I planned a trip to a cooking school in Noto (in the southeastern corner of the island) in 2014, I extended the trip to visit other parts of the island, including Mt. Etna for the first time. I call that trip my inspiration trip – we saw the ancient Greek theater Taormina; the sandstone temples at Agrigento; the palimpsest of religious history captured in the Duomo of Syracuse; the craggy, wild, lave-hewn slopes of the highest active volcano in Europe; the clear-blue color of the Ionian sea – and given where I was in my life at that moment, something about that unique mix of history, culture, food, wine, and sheer natural beauty inspired me to upend my life. I quit a job, booked a ticket, and found myself on the slopes of Mt. Etna testing sugar levels of the Chardonnay grape Passopisciaro grows for its Passobianco wine less than three months later. I’ve been representing the wines of Passopisciaro (and its sister winery in Tuscany Tenuta di Trinoro) in the US ever since that first harvest. That may be the extreme version of what happens when you visit the island, but it really is one of the most phenomenally beautiful and interesting places in the world. And for me, Sicily will be forever tied to my own personal journey in the wine industry, and it’s a place that continues to inspire me every time I return. Wow! Ok . . . I’m ready to move there as well now. You’ve painted such a beautiful picture here, I could practically picture myself there. Love the history too. The only thing missing is something to sip while we take in the scenery, so let’s talk about the wines. What makes Sicilian wine special and unique to you, within the broader context of Italian wines? Well first, Sicily is a big place. According to winemaker Marilena Barbera, the distance from Marsala to Noto is roughly the same as Piedmont to Valpolicella. When you drive around the island, you can literally see how the tectonic shifts of the Eurasian and African plates have created distinctive terroirs (it lies on the fault line, which is why Etna is so active). In the southeast, around Vittoria, you have the chalky white limestone that clouds the air when you breathe at night, and this is where Frappato is grown; further west around Menfi, it’s windswept sand over the limestone and clay; and of course, on Etna, the earth is black as night, with large scars of pure black rock cutting through the landscape where there was a recent lava flow. 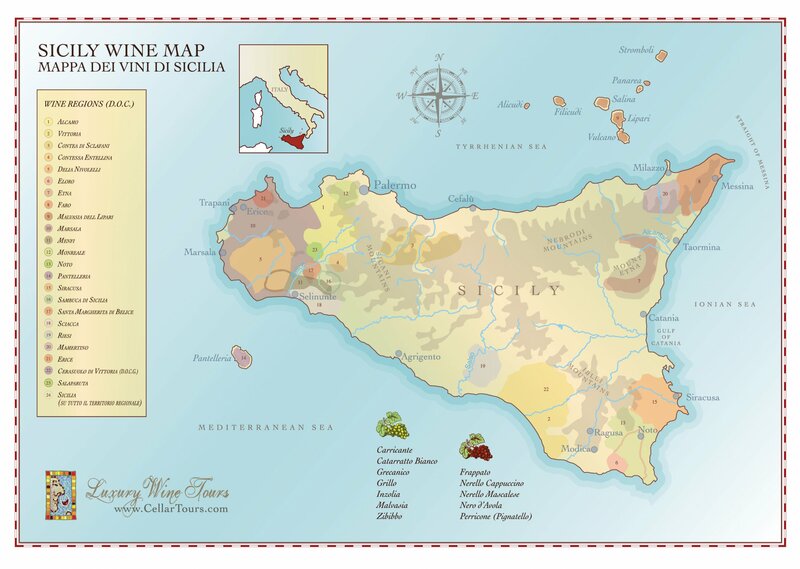 And wine is made on the outer islands as well, from Pantelleria close to Africa to Lipari, which is nearer to mainland Italy. So there’s a huge diversity of grapes and styles being made given these vast differences in terroir, and that’s without even considering the nuances within these particular areas. For me, beyond the diversity, what makes this moment in Sicilian wine history special is the focus for the first time on making really good quality wines. The island has a history of bulk wine production that dates back hundreds of years, with grapes grown to ship up to cooler climates in the north of Europe to round out those wines. That industry has dried up in the last century with the focus on appellation laws and winemakers’ increasingly focused on the transparency of terroir. It’s really been within the past decade or so that there’s been a real shift in mentality of growers here, later perhaps than in other parts of Italy. 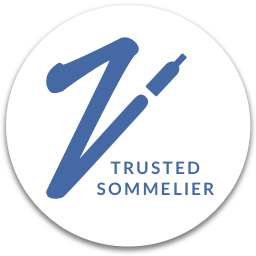 You’ve had a few key drivers of this change who have garnered international acclaim, and the subsequent interest has brought the money needed to produce wines of increasingly good quality more broadly. Now you can find amazing expressions of once banal or unknown grapes made from a slew of exciting producers all over the island: oak-aged Catarratto from Porta al Vento, salty and refreshing Zibibbo from Marco de Bartoli, the unheard-of Corinto Nero from Tenuta di Castellaro; structured Inzolia from Cantine Barbera… the list goes on, and that’s without even touch my favorite production zone, Mt. Etna, and the myriad expressions of Nerello Mascalese, Nerello Cappuccio, and Carricante being produced there. I’d love to see those landscapes! Your answer here regarding the increase in quality feeds into my next question. There’s a been a real boom in demand for Sicilian wines, and particularly for those from Mount Etna, as well as a boom in producers. What do you think is driving this renewed interest? I know that Passopisciaro has been a driving force in this renaissance – how do you see its role in the evolution of winemaking on Mount Etna? Where do see things going? Etna in particular has grown exponentially, both in terms of number of producers and demand in the US. It seems to correspond to the overall trend of the premiumization of wine across the US market. We’ve seen that both at Passopisciaro with our own wines holding consistent price points on the mid to higher tier, especially with the rise of the Contrada system of ‘cru-ification’ and correspondingly tight control of production, and across the region we’ve been able to observe similar trends with other producers putting ever more focus on specific delimited areas. From an overall increase of production standpoint, we’ve been able to observe physically the growth in number of producers: since Andrea Franchetti started the Contrade dell’Etna event in 2008, the amount of producers across the mountain has exploded from a few handfuls that we could host at the winery for an Etna version of “en primeur" to over 160 producers that will be presenting at the event later this month at Castello Romeo, having completely outgrown the capacity of a single winery to host the producers and attendees. New producers crop up every year, often having worked for some of the original players, and new plantings are evident across the mountain. Just driving up to the contrada of Guardiola (an explanation on contradas soon) , you can see Cusumano’s new plantings alongside the old vines that Passopisciaro and Terre Nere own and cultivate. It’s also been apparent in terms of how Etna is sold in the US. It’s been on the map for several years in the major wine drinking cities (e.g. New York and San Francisco), but we’re now increasingly seeing Etna producers entering other markets like Texas, making the landscape much more dynamic and competitive. It’s interesting anecdotally to see the Etna “brand” (both DOC and not) leveraged on wine lists to differentiate the region’s style from the rest of Sicily —a consumer that expects Nero d’Avola from Sicily needs to know that Nerello Mascalese is a different animal! Sarah also offered this response from Andrea to a similar question. Q: How would you describe the recent history and progress you have witnessed in Etna? A: Viticulture and winemaking are on Mt. Etna have extremely ancient origins, but it was forgotten with the Second World War. There has always been as tradition of quality-oriented viticulture, which allows us to work with very old vines (even 130 years old) and, because of the sandy, ashy soil, in some cases with pre-phylloxera rootstock. On the other hand traditional winemaking was not of a high level. The last 20 years have seen the rise of a series of new wineries, including Passopisciaro, which has brought about a rebirth of Etna as a high quality winemaking region. 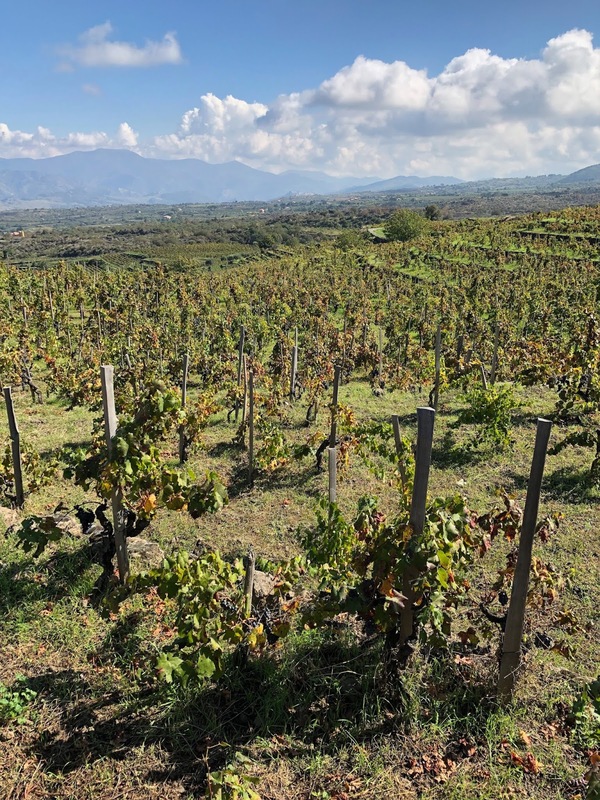 The focus has gradually turned more to individuating each contradas, Etna’s own version of a cru, finds an almost exaggerated example due to the extreme variations in the lava flows and elevations of the vineyard sites. The names of these areas are appearing increasingly on the labels in this renaissance of Etna wine. There's this need to perceive Etna as a classic European wine territory, and if we all continue to push how the wine can vary, while at a high quality level, examining how different vintages and places show character, then Etna probably has the stuff to become like Burgundy or Piedmont. If good winemaking and obsessive interpretation grows. I’m sure anyone reading this is now ready to book a flight. Any tips or highlights for anyone planning a trip to Sicily? Sicily is big, and it’s rich in history, wine, food, art, architecture, beaches, and more. It’s important to home in on what you want to see and do on the trip, as well as to get a grip on distances (and also remember that driving at night on this island is not easy if you’re not from there!) There are several airports, so making one a point of entry and another the one for departure is a good strategy if you want to cover a lot of ground; or just pick a side and dive deep! On the east side alone, there’s a tremendous amount to see and do from Taormina and Etna in the north to Noto and Vittoria in the south. That’s a really great practical tip to use two different airports and journey in between. Now moving on to my favorite topic: Wine + Food! Do you have any favorite food pairing memories from your trips to Sicily? Too many to count? I will never forget the meal I had at Roberta Corradin’s restaurant Il Consiglio di Sicilia in the town of Donnafugata in the southeastern part of the island. She’s a food writer whose name I knew from my time at SAVEUR, and she and her husband (the chef) faithfully source from local producers, press their own lemon-olive oil “condiment” (since they press the two together, they can’t legally call it olive oil), and regale you with stories about every ingredient’s origin. It was a magical four-hour lunch with the sea breezes coming off the Mediterranean, and the whole experience paired perfectly with Marco de Bartoli’s Grillo and Zibibbo blend from Pantelleria island that tasted faintly of sea salt and almonds. I’m absolutely going to try making a pistachio pesto. That experience sounds magical. I’m sooo hungry now! In my next post, we’ll get into discussing Passopisciaro specifically. Stay tuned! Sarah will actually be here in Oakland at Bay Grape on 4/28/19 as part of our Women in Wine Discussion Series leading up to Bâtonnage Forum. Find more details here. All profits from ticket sales go to creating scholarships for minority women attending the Bâtonnage Forum! One more extra tidbit. Last year I interviewed Sarah over video for Bâtonnage Forum and she actually happened to be in Sicily at the time. Check it out here. The rest of the Italian Food Wine Travel (#ItalianFWT) is exploring Island Wines from Italy. Check out their posts here. Nicole from Somm's Table crafts A Passion for Sicily with Passopisciaro: An Interview with Sarah H. Bray, Part 2. It’s so fasaniating to see a place like Etna which wants to rebrand itself from low-cost bulk wine- producing territory to high quality wines - what the new wine makers there doing to viticulture, marketing, everything that goes into selling the bottles will drive the outcome! Pinny, I'd say that it's not so much a desire to rebrand as there's an actual attention to quality that organically raises the bar! What a bold journey Sara is on, and such a resource for not only Sicily but the other surrounding islands. Their quality focus while maintaining roots, and sharing the diversity of indigenous grapes with the world. I can't wait to go. Wow! So much to unpack in this post. I really enjoyed Sara's perspective on everything from travel tips to the increased quality of Sicilian wine. And that pistacchio pesto is calling my name! Looking forward to reading the second part of the interview. The Pistacchio Pesto idea has really lodged in my brain as well! Thanks so much for reading Lynn. After reading your interview with Sarah, I am even more curious and eager to visit Sicily. I must say her "...magical four-hour lunch with the sea breezes coming off the Mediterranean, and the whole experience paired perfectly with Marco de Bartoli’s Grillo and Zibibbo blend from Pantelleria island that tasted faintly of sea salt and almonds" had my head in the clouds dreaming of food and wine in Sicily! I look forward to part 2 of your interview! Thanks so much Jane! And Part 2 is already up! Great post Nicole. I especially appreciate your introduction! You've got me wanting to try more Sicilian Wine!